"Using guns merely to draw attention to yourself in public not only defies common sense, it shows a lack of consideration and manners. And that's certainly not the NRA way." Michigan is the focus of a mounting crisis posed by the question: do gun advocates or local governments control public spaces? State Sen. Mike Green, Republican of Bay, Tuscola and Lapeer counties, is defending the Clio gunsel who has been packing at his daughter's elementary school. We have crossed swords, er, pistols with Sen. Green on this issue before; last November he lost in Bay County to Ron Mindykowski but swept heavily Republican Lapeer and Tuscola to be returned to office for four more years. Perhaps his legislative preoccupation with expanding gun rights was not that popular with Bay County voters. Even the National Rifle Association (NRA) cautions: "Using guns merely to draw attention to yourself in public not only defies common sense, it shows a lack of consideration and manners. And that's certainly not the NRA way." In a controversy over open carry in Texas restaurants, the NRA commented: "As gun owners, whether or not our decisions are dictated by the law, we are still accountable for them. And we owe it to each other to act as checks on bad behavior before the legal system steps in and does it for us. If we exercise poor judgment, our decisions will have consequences." While Green is touting his support of schools on his website, he stands firmly with the right of citizens to open carry weapons inside school buildings, a practice creating havoc that hardly contributes to education. In an introduction to his school report, Green wrote on his website: "We all share a commitment to see Michigan's children achieve and excel. That's why investing in education is one of our top priorities. By working together, we can make sure our schools are able to prepare students for the many opportunities of the 21st century economy." However, Sen. Green's stand on guns in school is counter to that commendable goal he so states. How can a public official like Sen. Green support an anti-social action like guns in school and still maintain he cares about children? If any reader can give me a good rationale why kids seeing an armed person in their school is good for their education and experience I would like to hear it. Genesee Circuit Judge Archie Hayman on Monday, Aug. 10, ruled in favor of Kenneth Herman, of Clio, who sued after he was denied access to Edgerton Elementary multiple times while attempting to pick up his daughter because he was open-carrying a pistol. "The ruling today does not come as a surprise, the law is the law," Herman said after Hayman's decision. "Now that Clio Area Schools have heard the ruling, read the laws and the Court of Appeals case law has been explained to them, I hope they stop burning through tax dollars fighting the law and common sense." The district argued that state law allows districts to enact policies to safeguard students and, therefore, allows them to institute firearm bans. 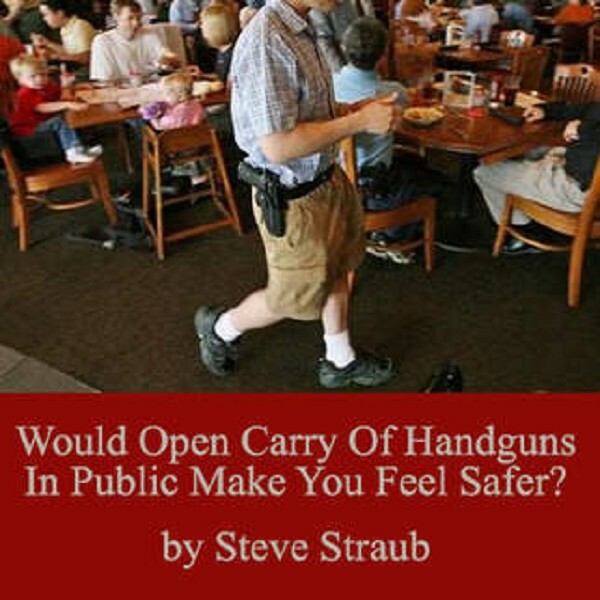 But, Hayman sided with Herman and Michigan Open Carry's argument that the ability to create local weapon policies is beyond the legal authority of the school district and its attempt to do so intrudes upon the lawmaking authority of the state, which has created laws to allow open carry of firearms on school grounds for some people. The district's board of education voted 6-0 to appeal the case to the Michigan Court of Appeals. Clio and Ann Arbor are among several Michigan school districts asserting their right to establish gun-free zones. Much of Herman's lawsuit rests on a 2012 Michigan Court of Appeals decision stopping a Lansing library system from banning firearms open-carry on its properties. The school district's motion filed by attorney Timothy J. Mullins,of Troy, claims Herman and Michigan Open Carry, as well as Judge Hayman, have mis-interpreted the appeals court decision, which they say does not apply to school districts. The district also claims state law allows districts to enact policies to safeguard students and, therefore, allows them to institute firearm bans. "Guns are not allowed in State or Federal Court buildings or in various government agencies," the district's motion argues. "Why should the safety of government employees be paramount to children or their parents?" In its argument to the court, the school district said: "Plaintiff Kenneth Herman has a child attending school at Edgerton Elementary School. He has stated his belief that it is legal and acceptable to carry firearms into an elementary school, regardless of whether it results in panic and a disruption of the educational environment for hundreds of children." This illogical stand could be taken to its ridiculous extent: if a parent can carry a gun in school, why not a student? And, who is to determine if Mr. Herman, entering a school with a gun, is a crazed mass killer or just an honest citizen with a misguided sense of his rights? Please answer me that, Sen. Mike Green, who happens to represent me, a resident of Monitor Township. Well written and right on point. Well done Dave! A good article and good thinking on your part, Mr.Rogers As always, you have a way with words..